While it is never too early to establish good dental hygiene, not every	dentist knows how to effectively work with kids. You need a dental practice	that understands the specific needs and potential fears of children’s	dentistry and teaches young patients how to maintain lifelong oral health. That’s exactly what you will find when you work with the exceptional	dental team at	Michael J Scoles DMD. First and foremost, we love kids! 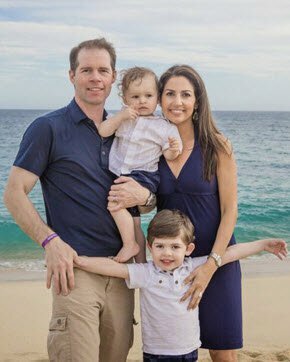 As a father of 2 young boys, Dr. Scoles	knows the importance of keeping your child’s teeth healthy and getting	them into healthy oral habits when they are young. Our experienced and compassionate dentists focus on education and preventive	dentistry during the first few appointments in order to establish good	brushing habits as early as possible, which can help keep your kids from	ever getting cavities. Going to the dentist can be frightening, so Michael J Scoles DMD strives	to make the little ones feel comfortable right from the start. In fact,	we encourage parents to bring toddlers into our family dentistry office	for a “play” appointment as early as two because we want your	child’s initial visit to be fun and stress free. During the appointment,	our dentists will conduct a risk assessment to determine your child’s	likelihood for developing cavities and provide you with all of the information	you need for effective at-home care. We can go over nutrition tips, discuss	pacifier and bottle habits, and provide advice on how to help prevent	injuries to the mouth and teeth. One of our main priorities during these initial visits is to make sure	that the kids have a positive learning experience. We spend a lot of time teaching them exactly what they need to do to take	care of their teeth. The earlier a child learns about oral hygiene, the	better. Good habits translate into good health, and fewer cavities in	the future. If your child goes to school, don’t be surprised if he gets a lesson	from Dr. Scoles in the classroom! Michael J Scoles DMD feels so strongly	about education that he regularly visits local schools to talk about dental	health and oral care. Most schools do not make time for kids to brush	after lunch or snack times, so we can provide brushes for the entire class! By reinforcing the importance of good oral health in a fun and interactive	way, we hope to instill an appreciation for healthy teeth and gums that	lasts a lifetime.